Customise your own Samsung Galaxy Note 3 phone case. Make it unique with a photo or custom design. Protect your smartphone with this full-wrap case. 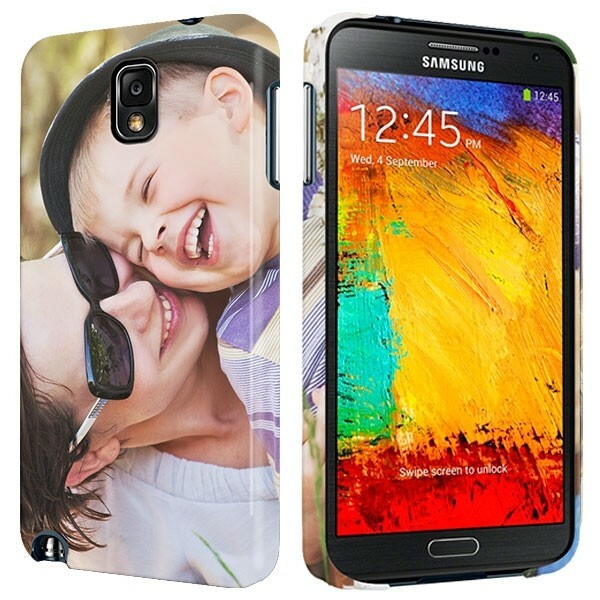 A full wrap printed case for your Samsung Galaxy Note 3! Full wrap cases are our speciality and we love large devices to print on like your Samsung Galaxy Note 3. Our full wrap cases are made of a hardened plastic and coated with a special material to ensure your design looks and feels perfect. You are free to design the case however you please. Your chosen design will be printed on the sides and back of case. Our cases are not only a unique style accessory, they also offer a high level of protection for your Samsung Galaxy Note 3. Using our design module you will be able to create the perfect phone case within minutes. Start by finding the perfect picture to use. Make sure it is of the highest possible quality. The better the quality of the photo used, the better the end result. You can upload images straight from your PC, tablet or smartphone. In addition, you can upload images straight from your Facebook & Instagram account. Do not forget to add a little personal quote or text using our text module. There are plenty of fonts and colours to choose from. That is all there is to it! What can I put on my case? You can pretty much put anything on your personalised Note 3 case. It is important that you own the rights to the image used. GoCustomized can not be held responsible for copy right infringement. We hope you enjoy making your own personalised Samsung Galaxy Note 3 phone case!